Bitter melon (also known as bitter gourd) looks like acucumber but with ugly bumpy-like squash of all it.As the name implies, thisvegetable is a melon is bitter. 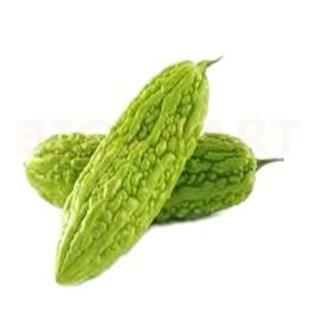 There are two varieties of this vegetable:grows to about 20 cm long, it is oblong and pale green color. The other is thesmaller variety, less than 10 cm long, oval and has a darker green color. Both varieties have seeds that are white in color andimmature when they do red when ripe. When ripe fruit Vegetable turnreddish-orange and it becomes even better.